1. 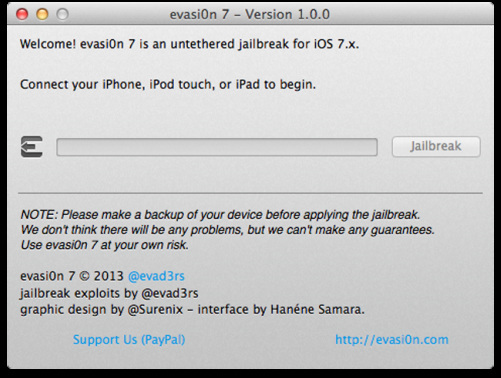 Download the tool evasi0n7 from (downloads).A zip file will be downloaded extract it. 6. After this step the tool asks one more time for unlocking your device and re-boots and after that the process takes place inside the device and you have a jailbroken device.